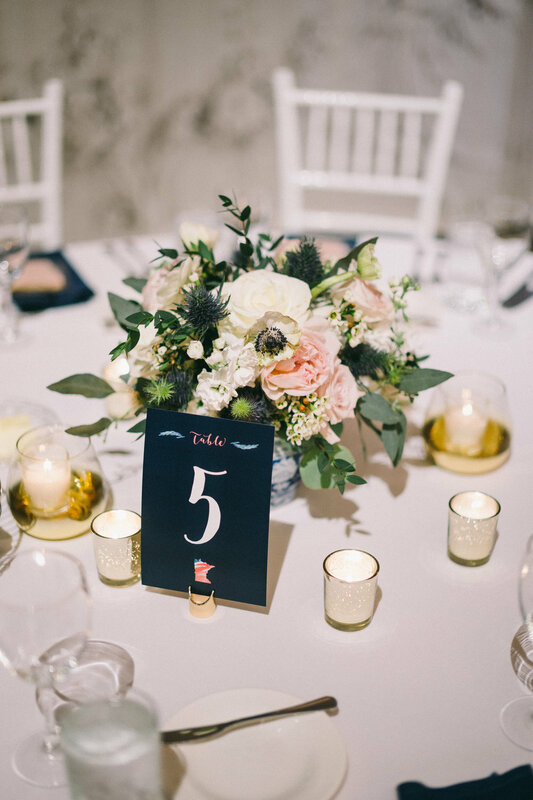 Tis the season to start looking back at some of our most memorable weddings from the past year! Loring Social was a big player for us this wedding season, and we had the pleasure to design many receptions in their space. 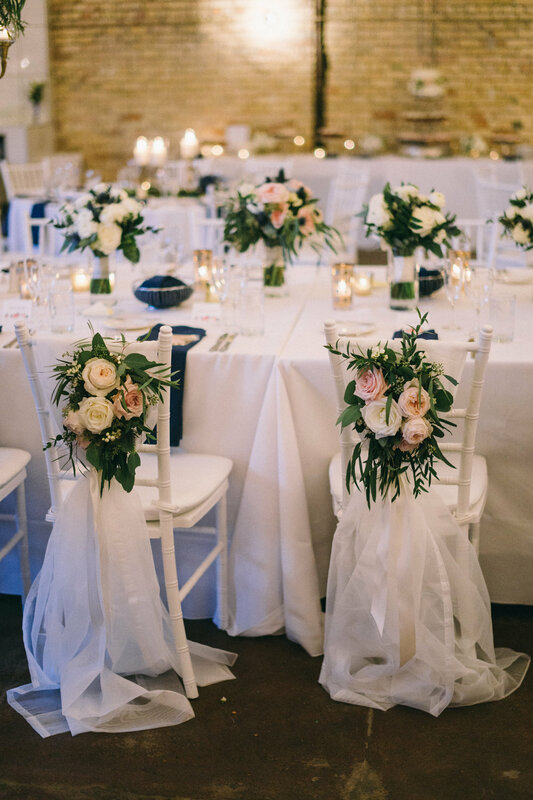 For Abby and Brendan, that meant classically beautiful with blush roses and white anenomes. We absolutely adored the unique hard-goods the bride provided, which perfectly accented the soft floral. 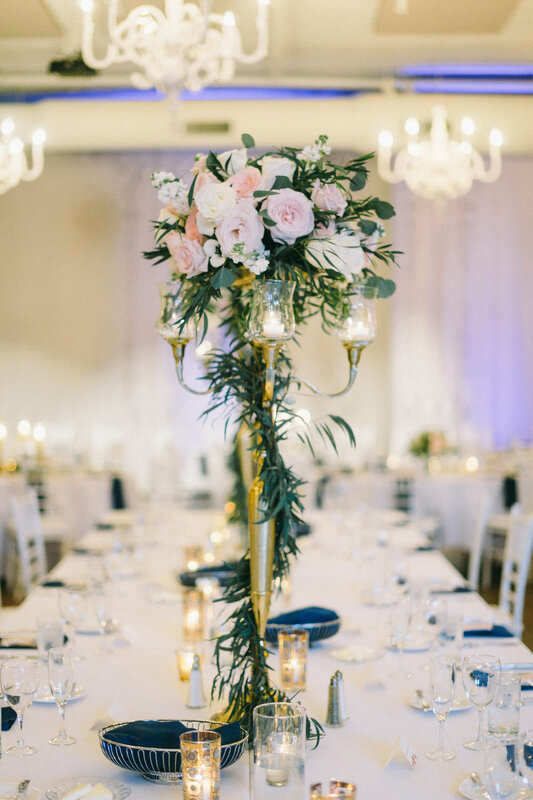 The room was anchored with two of our candelabras wrapped in greenery and topped with a lush arrangement. Could you ask for anything more?